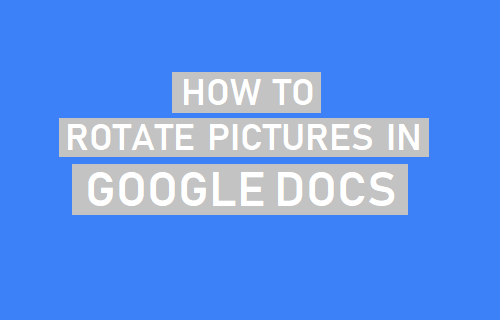 Here is how to rotate pictures in Google Docs, in case you have just inserted a picture into a document and it is oriented the wrong way. There is no labelled option to rotate pictures in Google Docs, which leaves users somewhat clueless when a picture inserted into a Google document turns up the wrong way. However, once you get used to the steps as provided below, you will have no problem Rotating Pictures in Google Docs on your Mac or PC. 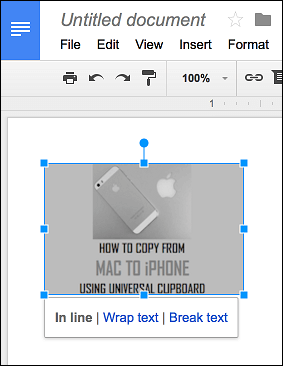 The steps to Rotate Pictures in Google Docs are the same, both on Mac and Windows PC. 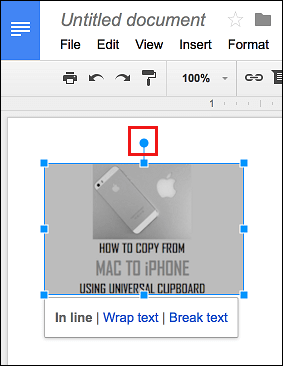 Follow the steps below to Rotate Pictures or images in Google Docs on Mac or Windows PC. 2. Next, open up the Document which contains the picture that you want to rotate. If you haven’t yet uploaded a picture, you can open a New Document to try these steps. 3. 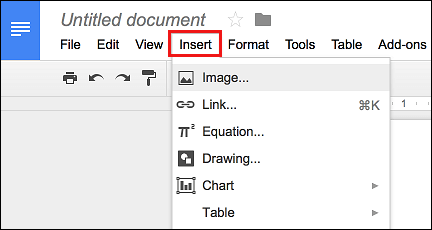 To Insert a Picture in Google Docs, click on the Insert tab located in the top menu and then click on Image option in the drop-down menu. 4. In the pop-up, choose the Picture that you want to upload into Google Docs. 6. To Rotate the picture, click and hold on the small blue circle and you will be able to move the picture using your mouse. Moving the mouse to the right will rotate the image clockwise and moving it to the left will rotate the image anti-clockwise. 7. Once the picture is oriented properly, release the mouse cursor or take your finger OFF from the trackpad. Unfortunately, the mobile version of Google Docs does not yet allow users to rotate pictures. This means that you will have to either rotate the photo on your phone before uploading it to Google Docs or upload the Picture on your Phone and use a computer to Rotate the Picture, using steps as provided above. In case you are using an iPhone or iPad, you can refer to: How to Rotate Photos on iPhone and iPad. In case, you are using an Android Phone or tablet, you can refer to: How to Rotate Photos on Android Phone.